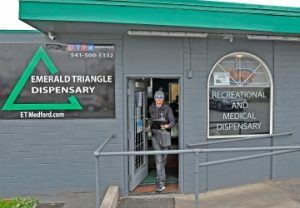 Not only can you enjoy your favorite flowers, edibles and concentrates in the privacy of your own home, Medford residents now can have them delivered straight to their door by Emerald Triangle Dispensary, 246 E. 10th St.
Privacy and convenience are the key drivers here (no pun intended), along with the needs of homebound medical marijuana patients, for whom delivery can be a lifeline. With a clientele that includes veterans (who get a good discount), the elderly, and people who may have started partying and sensibly don’t want to drive, Emerald is busy, says store manager Brenna Moore. For that latter group, delivery is an especially great option — nobody wants stoned drivers on the road. “Sometimes you’re just in movie-watching mode,” Moore says. 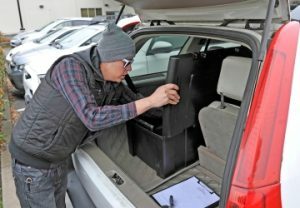 According to the Oregon Liquor Control Commission website, 11 Jackson County dispensaries and four in Josephine County have signed up to deliver cannabis. When we called around last month asking whether those stores delivered, however, Emerald Triangle was the only one, though several said they hoped to be delivering soon. In time, users here will be able to use smartphone apps to order their sticky, which is happening in other markets. But for now, you’ll have to use your phone to call Emerald Dispensary and sign up for deliveries. The rules are simple: You must be in Medford city limits, have a valid ID, and order a minimum of $50 worth of product, according to its website. Delivery fee is $5 to $10. Like all cannabis transactions, delivery is a cash-only proposition. Emerald would like you to visit its store before you place your first order, so you know what it offers. 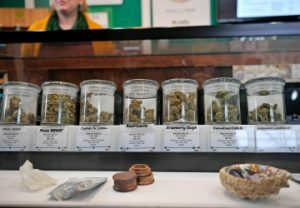 But if that is not convenient, you can do research on its website — www.etmedford.com — or talk to their bud-tenders over the phone (541-500-1332). Emerald is committed to local bud and in fact grows much of its own product at Emerald Fields Recreational Farm in Central Point. It also buys from local growers, including Atlas Farm in Medford and Oregon Grown Organics in Ashland. Emerald currently offers 385 products in-store or for delivery, from flowers to edibles to concentrates, in all the usual variations: CBD, indica, sativa and hybrids. Moore says that because Emerald’s license is for Medford only, she must turn down many deliveries to Jacksonville and Ashland. There are other rules as well. 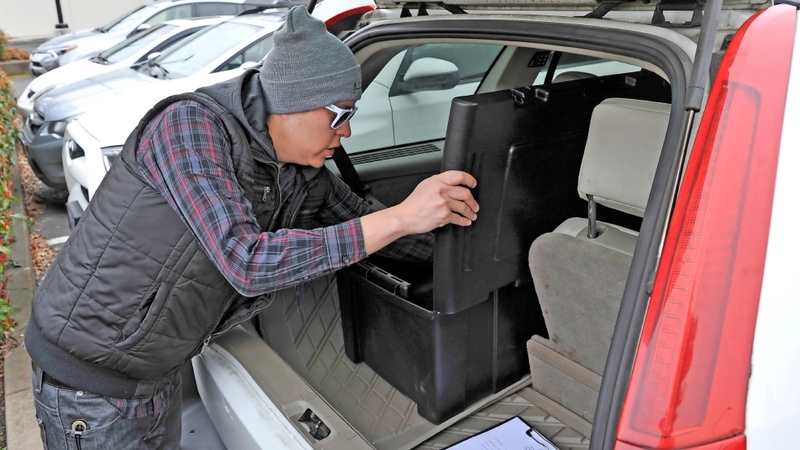 For example, each delivery vehicle must have a lock box, which can carry no more than $3,000 worth of cannabis. Insurance is also a challenge because, well, you’ve got a driver going around with pot and money. But the market is there, and it is only going to get bigger. The store is open seven days a week from 9 a.m. to 9 p.m.